Find all types of bridal salons in New York, where the blushing bride can become extra-relaxed and extra-rejuvenated before her big day! Order some of the finest treatments at one of these wedding spas in New York. Get Pampered at One of the Best Wedding Spas in New York! Offering some of the best bridal spa packages in NY, Faina European Day Spa is a company you can trust. The bridal package covers 4 hours at the spa and includes an aromatherapy body massage, aromatherapy body scrub, a luxurious facial, European manicure/pedicure, champagne, and chocolate. Faina carries a remarkable array of organic, natural, and herbal products and features some of the most popular names in skin care. Other spa services include seaweed nourishing masks, seaweed firming body wraps, mud body wraps, aromatherapy cellulite treatments, body exfoliating treatments, and aromatherapy body and scalp massages. Due to its private location, the spa is perfect for birthdays, bachelorette parties, bridal parties, baby showers, corporate events, and other fun events! Get Treated Like a Princess Before Your Wedding Day! Get pampered like a real princess before your wedding day by making reservations with Euphoria Spa in New York. Dedicated to promoting a culture of full body wellness, this spa center has been offering first class bridal spa services since 2004.You will enjoy some of the best wedding spa packages that New York has to offer with services such as full body scrubs, facials, herbal massages, waxing and eyelash tanning. At Euphoria Spa, trained, experienced and passionate therapists will attend to you in a tranquil environment. Take up a bridal bootcamp package and enjoy exceptional beauty spa treatment 9 months, 3 months or 2 days prior to your wedding. One of the Best Spas in NY! For guests staying at the Four Seasons Hotel in New York rejuvenation is never far away. Conveniently located at the heart of NY, the spa at Four Seasons hotel welcomes soon to be brides with relaxing full body massages, detoxifying facials, warm herbal body wraps, aromatherapy and full body scrubs. With this range of spa services, you will walk down the aisle looking and feeling great. The sauna, steam room and whirlpool at Four Seasons further help you to relax and ease the tension of the day. So make reservations at Four Seasons Hotel for the best bridal spa treatment in NY. After spending several months planning your wedding and everything is finally organized, you would think that you are good to go, right? Well think again. You are forgetting the most important part of planning a wedding and that would be you! Take the time to go to Trump SOHO in New York to get yourself pampered in readiness for your special day. The spa at Trump SOHO hotel offers full body massages, detoxifying body treatments as well as body scrubs and body wraps that will leave you feeling relaxed. Also available are sauna and steam rooms that will soothe your body. So get fully pampered for your wedding day at the Trump SOHO spa where they will help turn you into a beauty queen. Make your wedding day complete with a stunning and gorgeous look by availing spa and beauty services at the Secret Garden Spa in New York. Since 2006, this spa has been offering full spa services with a special focus on toxic free products. 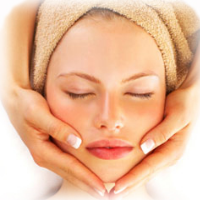 The spa uses organic aromatherapy oils and lotions for massages and skin care treatments. 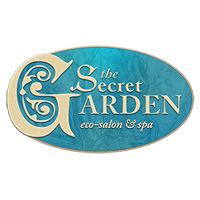 After enjoying a soothing full body treatment, you will leave looking like a goddess thanks to manicures, pedicures as well as hairdressing and teeth whitening and make-up application services offered at the Secret Garden Spa. Make your reservations today, and order a customized bridal spa package just for you! If you are getting married soon and want to be in the best mood, leave it up to Appearance Day Spa to help you find your balance with luxurious spa services that will uplift your body, mind and spirit. The bridal spa package at this day spa includes hot stone massages, hot stone facials and signature manicures and pedicures. 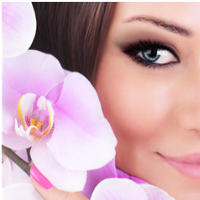 You can also avail make-up services and waxing treatments that will turn you into a stunning bride. The Appearance Day Spa in NY takes pride in using some of the finest beauty care products in the market. So make your reservations today and enjoy the ultimate wedding spa treatment. Offering one of the most comprehensive bridal spa experiences, the Guerlain Spa ensures that brides walk down the aisle while looking their very best. Your bridal spa package at this day spa begins with a refreshing hydrotherapy bath and complemented with a relaxing message and make-up application. A luxury manicure and pedicure will make your visit at Guerlain Spa complete. Top therapists and make-up artists will attend to you and spruce you up for the big day. Therefore, make a point to visit the Guerlain Spa in NY and enjoy a luxurious spa treatment in a private and spacious suite. Visit Allure Day Spa & Hair Design before your wedding day and get to prepare for the big day in style. This spa offers unrivaled pampering for the bride with a 45-minute aromatherapy massage, a facial treatment, a hair job, make-up application and a posh spa nail service. Brides also get to enjoy a special spa lunch and champagne. In addition, Allure Day Spa offers male grooming services, making it a fantastic day spa for couples. So if you are looking forward for a day of pampering before walking down the aisle, head down to Allure Day Spa in NY, the perfect place to enjoy a memorable pre-wedding experience. Make your wedding the perfect occasion that you have always dreamed of by taking up a bridal spa package at the Green Spa in New York. 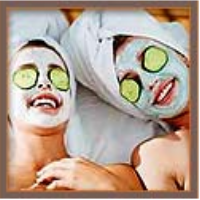 This spa offers a full range wedding day spa and beauty services. The team of massage therapists and make-up artists at the Green Spa ensure that the bride walks down the aisle in style after enjoying a relaxing hot stone massage, pre-wedding make-up application and stylish nail care treatment. You can enjoy all of these services and a complementary gift on your wedding day at the Green Spa in New York. This spa opens for business on weekdays from 10:00am – 9:00pm and from 9:00am – 7:00pm on weekends. Indulge in luxurious spa treatment services at Oasis Day spa and experience what it is like to be treated like a princess before your wedding day. The bridal package includes a stylish nail job as well as a refreshing body scrub and an antioxidant facial that will leave your skin glowing and looking healthy. The bride and groom can enjoy side-by-side facials and aromatherapy massages by taking up a couple’s duo package. 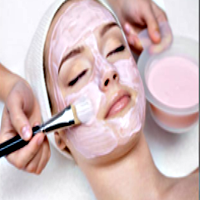 The team of beauty experts at the Oasis Day Spa ensures that each client leaves totally rejuvenated and relaxed. So schedule an appointment at one of the best bridal spas in NY. Open hours are from 10:00am to 10:00pm Monday to Friday and 9:00am to 9:00pm on weekends. Arpi's Spa offers some of the best spa pampering that you will ever get to experience. For those getting married, the bridal package at this spa encompasses a signature Swedish massage, foot & hand paraffin treatment, detox facials and body waxing. To top it all off, you can choose to have a nourishing full body treatment or cellulite removal. Arpi's Spa can reserve the entire spa for your bridal party, where everyone invited will leave the spa with a gift bag full of goodies. In addition, you can take up a 3-6 month beauty care program with your bridesmaids in preparation for the big day. So make your reservations at Arpi’s Spa in NY and choose a wedding spa package that works for you.